Gambling has become almost “normal” in Australian society and has become more common in our advertising. But harmful affects of gambling, problem gambling and addiction is often not talked about or acknowledged. 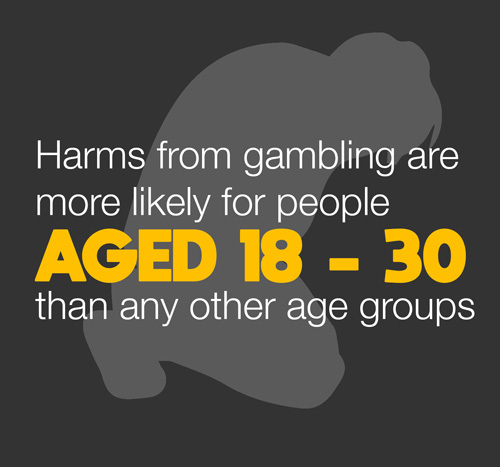 Harms from gambling are more likely among people aged 18 to 30 than for other age groups. 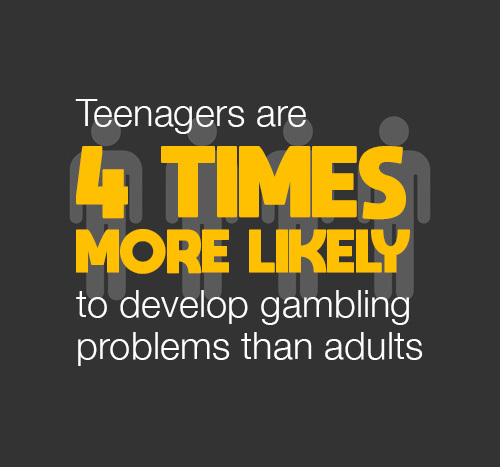 Up to 5% of young people in Australia will develop problems with gambling before the age of 25. 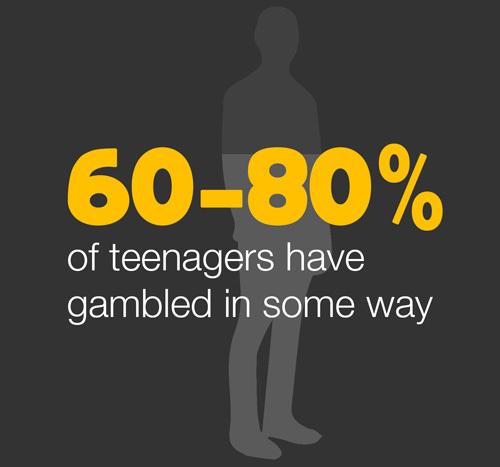 The majority of young Australians gamble before they reach adulthood; between 60 -80% of teenagers will have gambled in some way. 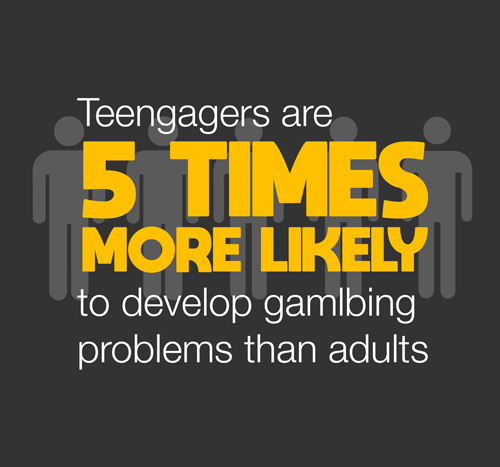 Teenagers are believed to be five times more likely than adults, to develop gambling problems, and almost 10 times more likely to be at risk. Australians spend more per capita on gambling than any other country. Read more about gambling in Australia here. Young people engage in all types of gambling, e.g pokies, horses, dogs, sports, lottery, scatchies, casino, home card games and video games. The most common type of gambling among young people (18-30) in Australia is still pokies. However, national research shows that online gambling (particularly sports) is rapidly growing, especially in this younger age groups. Males and females tend to be drawn to different types of gambling, affected at different ages, and that young males are most likely to develop an addiction. However people from all different backgrounds, genders and socioeconomic status gamble and can be harmed by gambling. Sometimes people might be impacted by gambling harm alone, but commonly people also face substance use and mental health concerns, such as anxiety and depression, at the same time. This means it can be quite hard for a person to recognise when they are being impacted by harm from gambling, and also for professionals to recognise this harm. Gambling harm (and addiction) is generally very hidden among all age groups in our society. It is also often not recognised as something that affects younger adults. Gambling patterns vary a lot between gambling types and people, but there do tend to be some common behaviours among young adults.